Helps making difficult YES or NO decisions. Ideal for the indecisive. 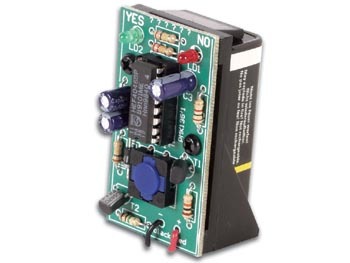 Simply push the button to start flashing of YES/NO LEDs. Flashing speed gradually decreases and finally one LED remains lit. dimensions: 2.2" x 1.2" x 1.4"